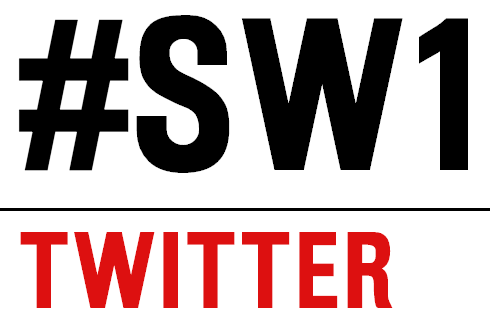 The SW1 neighbourhood has plenty of historic sites and places to visit and can easily be explored by foot. For example, one popular walk takes you through the City of Westminster. Have you noticed before that although Westminster has the Abbey at its heart, there are no indications of the medieval street pattern or street names to suggest an old city? This is because the City of Westminster is in fact not a “real” city. The City of Westminster as an entity is really rather young– gaining a city charter and a mayor only in 1900. 55 Broadway is the historic home of Transport for London (TfL) but it was actually built between 1927 – 1929 by its main predecessor, the Underground Electric Railway Company of London above St. James’s Park Station. It is what architectural historian Sir Nikolaus Pevsner calls a “bold building for its date”. It was designed by Charles Holden the architect responsible for many of the iconic Underground Stations of the 1920s and 1930s and has reliefs by a number of sculptors including Jacob Epstein, Henry Moore and Eric Gill. There is a nice touch on the Broadway facade where there is a foundation stone. Interestingly it reads: “Metropolitan District Railway Company. This stone was laid on 24 September 1928 by Thomas Auton, Housekeeper, 1899 – 1929 for 43 years a servant of the companies.” The Metropolitan District Railways provided the main services through St James’s Park station. Another little curiosity at 55 Broadway are the train indicators inside the reception area just off the station ticket hall. These show, on a large paper disc, the passing of trains each way at a single point on each of six lines (Bakerloo, Central, District, Metropolitan Northern and Piccadilly). There are only six lines because the Circle Line wasn’t counted, before part of the Metropolitan became the Hammersmith & City line, before the Victoria and Jubilee lines were built and before the Waterloo & City line was taken over by the Underground. To continue the walk, leave the station on the Queen Anne’s Gate side and cross the road walking down the right hand side of the new building ahead. Today, a large 1970s block designed by Basil Spence and formerly occupied by the Home Office dominates the view. While architecturally, it is not the most beautiful building, there are two interesting things about what preceded this building. First, British philosopher Jeremy Bentham used to live there. His skeleton can be found fully clothed, with a wax head at University College London. Second, this was the site of Queen Anne’s Mansions, a 14 storey block of flats built in the 1870s.The height caused some controversy not least because it is said that Queen Victoria could no longer view the Houses of Parliament from Buckingham Palace. The London Building Act 1894 was the response. The Act limited buildings to 80 feet and remained in place until after the WWII. This prevented skyscrapers being built in London in the 1920s and 1930s and had a huge influence on how London developed. Walk down Queen Anne’s Gate following the road as it turns right. Amazingly there are no less than six Blue Plaques in this short but wonderful early 18th century street, including Lord Palmerston, who was born at No 20. Continue walking straight ahead and follow the road as it swerves to the left and becomes Old Queen Street. Old Queen Street is another lovely street. At No 11 a blue plaque indicates that the houses were built in the famous William and Mary style between about 1690 – 1700. Next door was the home of Richard Savage (4th Earl Rivers) who was Governor of the Tower of London from 1660 – 1712. Continue to the end of Old Queen Street and turn right into Storey’s Gate. Ignore some of the traditional big sights (Westminster Abbey, Central Hall Westminster and the QEII Conference Centre) and cross Victoria Street,through the archway into Dean’s Yard. As you enter Dean’s Yard you find yourself in a different world, far way from the hustle and bustle of Victoria Street. Walking to the left and then turning right you will pass Westminster School. It’s a private school, but take a peek through the gate . The statue by the step shows Queen Elizabeth I in celebration of her re-founding the school in 1588. Continue through the gateway and walk down Tufton Street. Almost side by side are two ecclesiastical suppliers: Watts & Co and Wippel & Co. It is rare to find such places nowadays. Walk back towards the gateway and turn right into Great College Street, then turn right into Barton Street. The next stop takes you down a wonderful series of 18th century streets, starting with Barton Street – dating back to 1722. 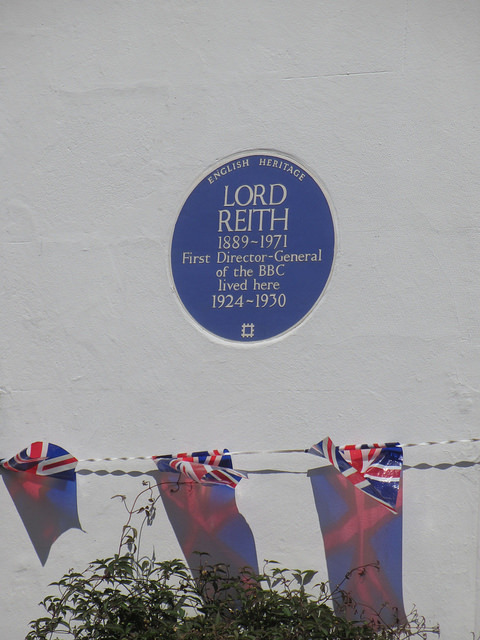 There are two blue plaques at opposite ends of the street : T E Lawrence, better known as Lawrence of Arabia at No 14 and at No 6 Lord Reith, the founding father of the BBC, who both lived on Barton Street in the early 20th century. Follow Barton Street left around the corner to Cowley Street, then turn right towards Lord North Street. Another lovely 18th century street with wonderful details and St John’s Church framed at the end. A fading painted sign on the wall of Number 8 indicates that there used to be an air raid shelter, dating back to WWII. Continue towards Smith Square. 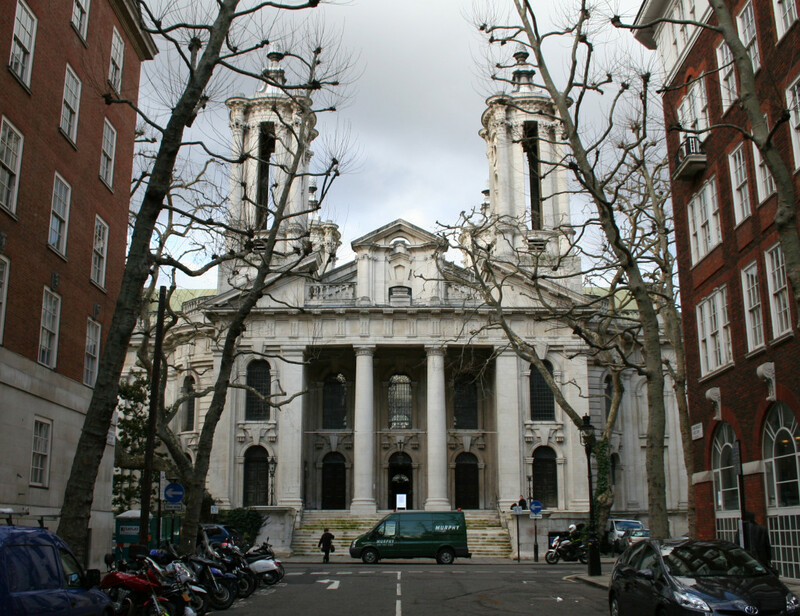 Smith Square was named after Henry Smith who owned land in the area, but it was his father, also Henry Smith, who provided the site for the centrepiece of the square – St Johns. Built between 1713 and 1728 by Thomas Archer and severely damaged during WWII, it was superbly restored as a concert hall in the 1960s. The north side of the Square is lined by 18th century buildings, but the south side shows a more modern architectural style. In the south west corner is the former Conservative Central Office, now housing the European Commission Representative to the UK and the European Parliament’s Information Office. Exit Smith Square using Dean Trench Street leading towards Tufton Street. From here you can do a short detour to the right to see two City of Westminster Green Plaques: writer Siegfried Sassoon who lived and worked at a house at Number 54 from 1919 to1925 and opposite film maker Sir Michael Balcon who lived at No 57A between 1927 and 1939. Just further up on Tufton Court is a Blue Plaque dedicated to Eleanor Rathbone who was a pioneer of family allowances. Walk back down Tufton Street towards Horseferry Road, cross and enter St John’s Gardens. Before you cross, take a look at the stone at the corner, which was the foundation stone for Mr Fegan’s house for Orphan Boys laid on 20th May 1912. 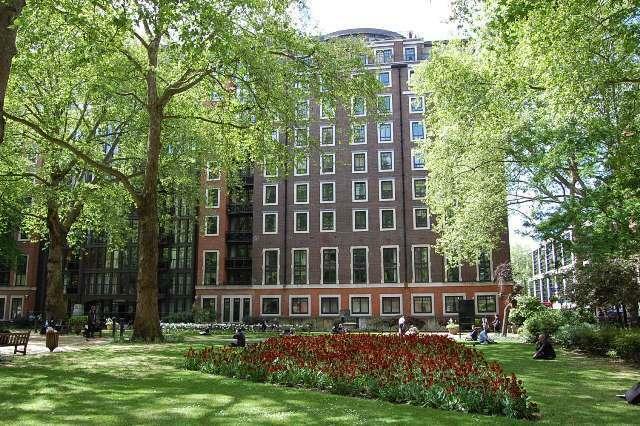 These gardens were originally the burial ground for St John’s Smith Square, dating from 1731. It soon became hopelessly overcrowded in the 18th century, but was not formally closed until 1853. It was converted to a garden in the 1880s and now provides a welcome bit of green space in the neighbourhood. On the left side is the former Westminster Hospital and on the right side is the former Nurses Home, both converted into apartment blocks. Around the sides are various tombstones, mostly so weatherworn as to be unreadable. Leave St John’s Gardens on the opposite side of where you entered, and take a look at Neville House. Neville House is an early 21st century residential block. Prior to this, an office block of the same name occupied the site, built in 1937. It was one of a number of 1930s offices building in the same style, with a chunky brick facade and horizontal metal framed windows. Other buildings were Abel House, Clelland House and Great Westminster House at the corner of Marsham Street and Horseferry Road. The Abel and Clelland Houses were refaced in 1985. The latter housed the Ministry of Agriculture, Fisheries and Food. It was demolished and replaced by Great Minster House built 1988 – 1992. Neville Housewas unusual for an office block because it housed a pub on the ground floor, the Paviours Arms. Now continue along Page Street, crossing Marsham Street. Grosvenor Estate is a housing development by Westminster City Council built in the early 1930s, designed and built by Edwin Lutyens, who was known for adapting traditional architectural styles to the requirements of his era . Grosvenor Estates was built in U shape blocks around courtyards and at the open end of the U there were in most places some little pavilion like buildings, which would have provided the estate with shops. Walking along Page Street, you reach Regency Street, and the famous Regency Cafe on the corner. The café was featured in many films and was recently voted 5th best restaurant in London! 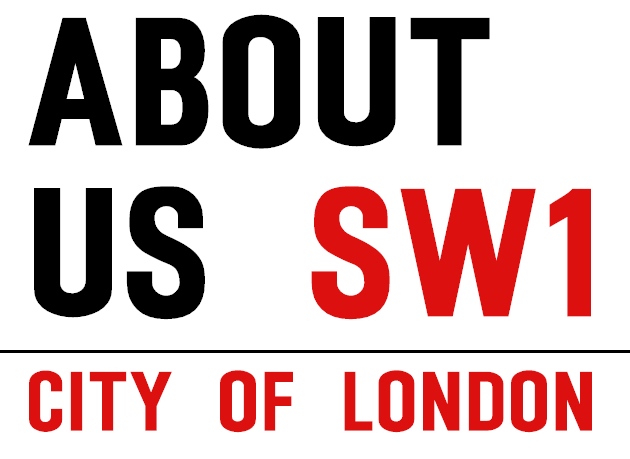 Can you define your understanding of what is Victoria in SW1? St John’s, Page Street? The area between Millbank Embankment and Marsham Street?